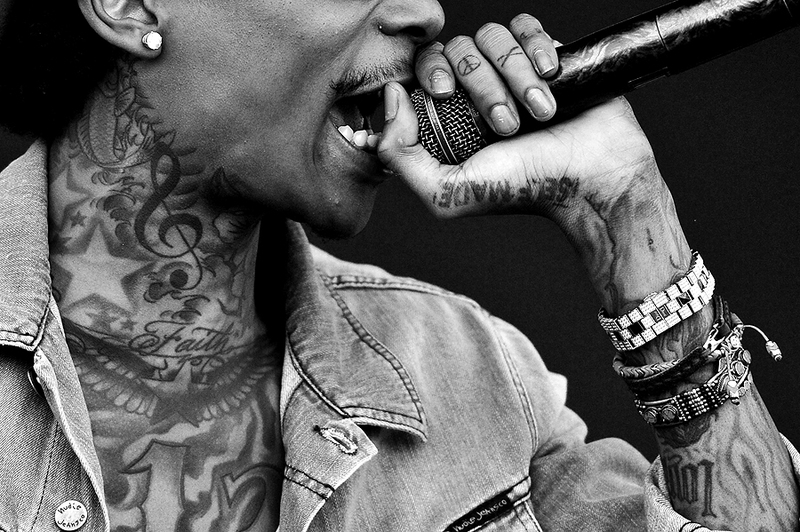 "Performing artist Wiz Khalifa sings "Young, Wild & Free" prior to the 137th running of the Preakness Stakes at Pimlico Race Course on May 19, 2012 in Baltimore, Maryland." What's the most popular thing in the world? Music. But if you know me, I've mentioned I am not much of a concert photographer. Don't color me ugly, I think like any art, music is very inspiring. I think the artists are powerful role models and they are icons of the world. And let's not forget, I too enjoy music more than most other things. Black and yellow. Yin and yang. With love comes hate. 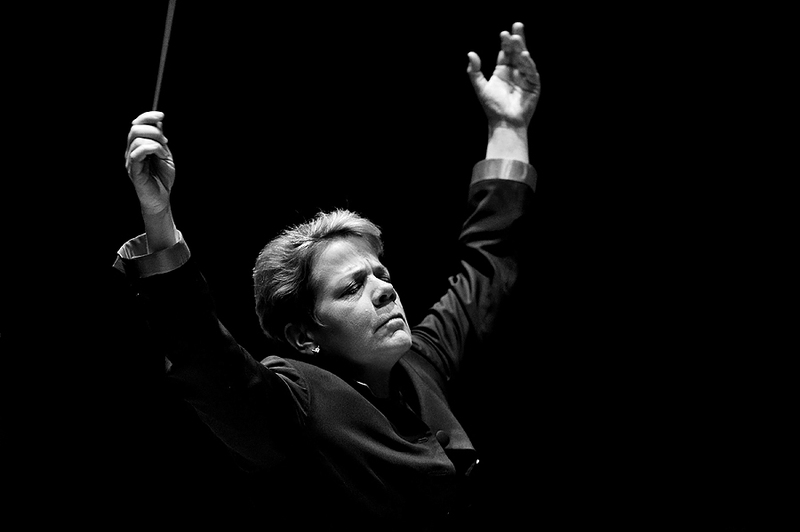 The act of a concert isn't exciting. Put me in front of the artist for a portrait or tell me to hang out with the performer for a day and I'm bubbly like a six-year-old girl. Yet getting two songs to hammer away on the shutter isn't much fun. Maybe it's my lack of interest, but of recent, I really enjoy getting my less than five minutes in the pit or soundboard and leaving. I think that my desire to shoot very little and attempt to come away with something different than the rest of the pack keeps me inspired. Of the last three concerts I've shot, including: Wiz Khalifa, Maroon 5, and Jay-Z and Kanye West, I think I've made less than 200 frames. I wasn't going to post this image, but it kept popping up in my archive. I simply was inspired by the details of Wiz Khalifa. 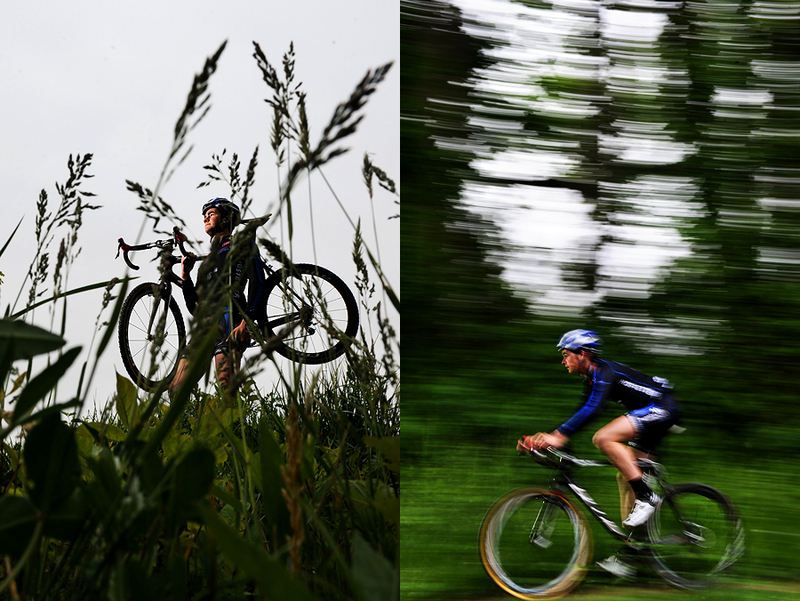 "A pair of portraits of Park School senior Sam O’Keefe who is billed by his peers as the next Lance Armstrong. He competes in cyclo-cross, which is a bike race that consists of many laps with varying terrains and obstacles. O’Keefe poses for a portrait at Rockburn Branch Park in Elkridge, Md., Monday, April 30, 2012." Had the pleasure of photographing cyclo-cross racer Sam O’Keefe last month. It was one of those assignments where I knew about it, had time to think about it, scheduled it myself, but when it was shoot time, I completely changed my game plan. My instructions were to shoot vertical and leave some headroom, along with some other suggestions. But as mentioned, when I got to Rockburn Branch Park, I decided that some of my ideas weren't going to work. Not to mention, creativity is usually better when spontaneous. I wanted to deliver a mix of portraits and action to my client and loved these two frames. Sam was very generous with his time and didn't mind riding by me time and time again. Wish him the best in his cycling career and hope I can get out to shoot an actual race later this year. 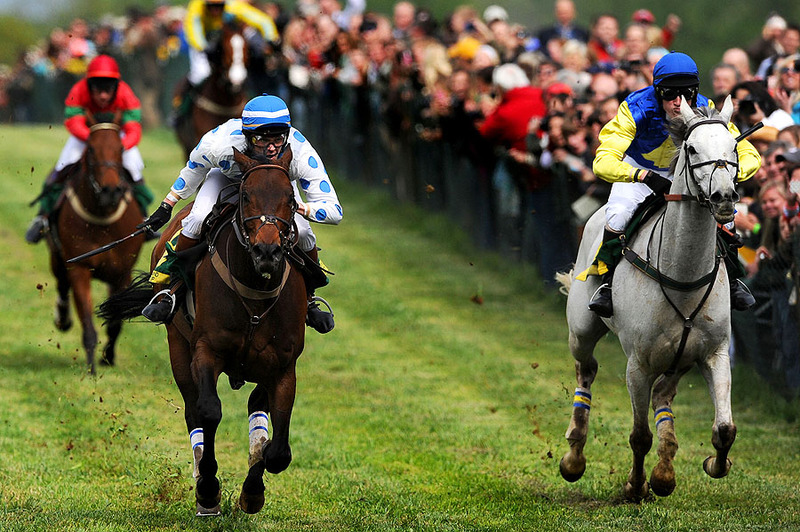 "I'll Have Another #9 ridden by Mario Gutierrez beats Bodemeister #7 ridden by Mike E. Smith at the finish line to win the 137th running of the Preakness Stakes at Pimlico Race Course on May 19, 2012 in Baltimore, Maryland." This past week, I covered the 137th running of the Preakness Stakes at Pimlico Race Course. Early morning workouts, nice light, inebriated infield revelers, fashionable hats, and fast horses made for a great week of hard team work for various wires. As the saying goes, "Say 'we' when you win, and say 'I' when you lose." This was certainly a 'we' week. In addition, I want to publicly thank those running the show at Pimlico and other horse racing photographers, media that helped me out during the morning workouts during the week. While not new to the Preakness Stakes, I was very fresh on the workouts which can be a little confusing at times; so thank you if you're reading. As always, the big race wears on you all day long on Saturday. Remotes are set and checked continually, positions are marked, and the light can change on you in a split second. But then the gates open and your mind takes over as you document sports history. In the end, I'll Have Another caught Bodemeister to win Preakness. An exciting time for horse racing, he will go to the Belmont Stakes looking to take home the Triple Crown. Early in the week, I was focusing on a series of images based on quiet moments of Preakness week, but as always, things change. Nonetheless, I ended up converting the pictures in this essay. With that, I didn't want to start my essay off with the same image as my last blog post, so a single color image starts off of the essay before my favorites from of the week. 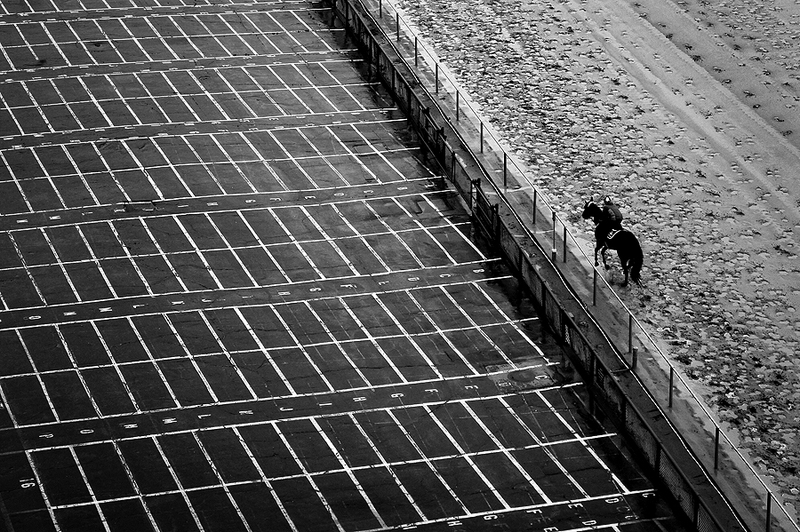 "During Preakness week, a horse walks around a drenched track at Pimlico Race Course in Baltimore, Maryland, May 15, 2012. 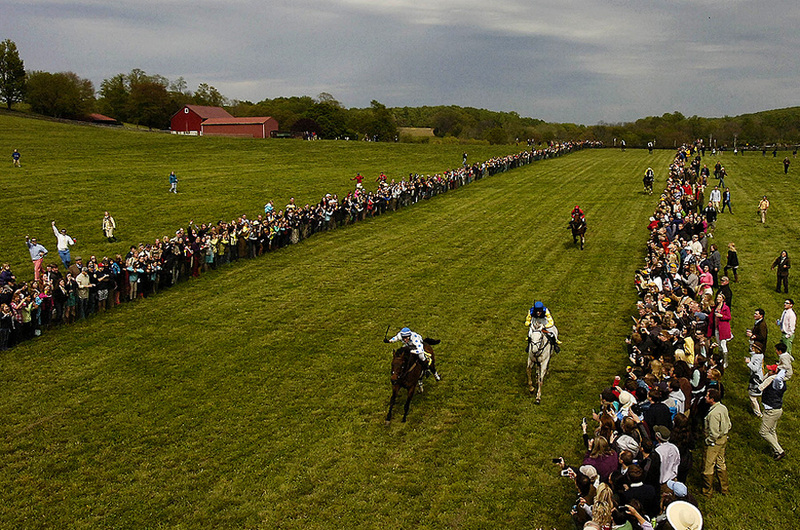 The week leading up to the Preakness Stakes has been wet and rainy. Two inches of precipitation is expected between Tuesday and Wednesday morning." This week I am out at Pimlico Race Course in Baltimore, Md., covering all leading up to the Preakness Stakes. So far, not many horses have arrived aside from the Kentucky Derby winner I'll Have Another. While he was early into town last week, he is taking it slow because of the wet weather Baltimore has had. Not much, if at all, track time yet. After his morning walk, I decided to make the pilgrimage up to the roof to try and get a picture of the wet conditions that is keeping the Preakness contenders off the course. Once up there, I realized there wasn't much going on, so I waited for a random horse to make its way by. Hopefully weather will clear before Saturday, otherwise, it may take me a few weeks to dry out. 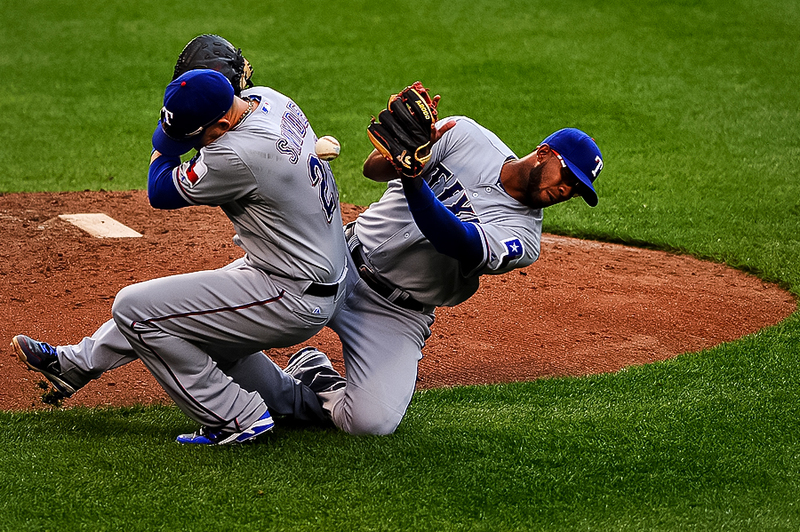 "Texas Rangers first basemen Brandon Snyder #21 and Texas Rangers shortstop Elvis Andrus #1 crash into one another as they miss a pop fly in the seventh inning against the Baltimore Orioles in their first game of a doubleheader during their MLB American League baseball game at Oriole Park at Camden Yards in Baltimore, Maryland, May 10, 2012. 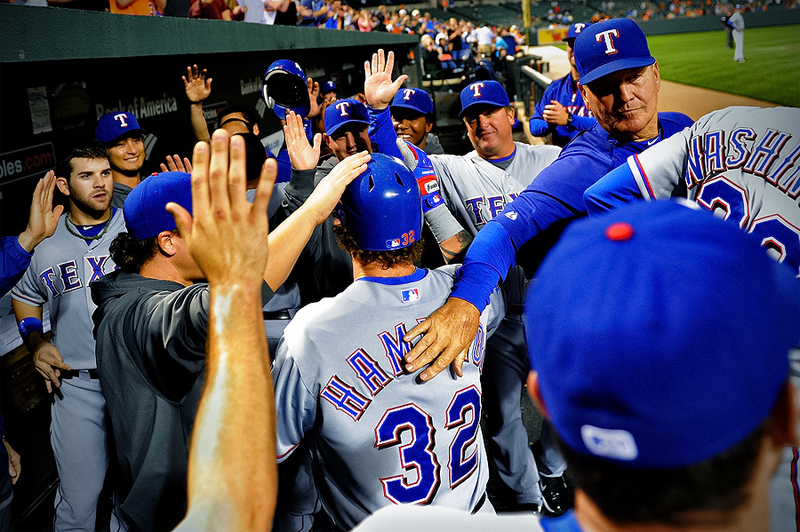 The Texas Rangers lost, 6-5, splitting the doubleheader, and won the overall series, 3-1." This week, I covered the Texas Rangers taking on the Baltimore Orioles in a four game series at Oriole Park at Camden Yards in Baltimore, MD., for Reuters. After a rain delay and splitting a doubleheader, Texas won the series, 3-1. 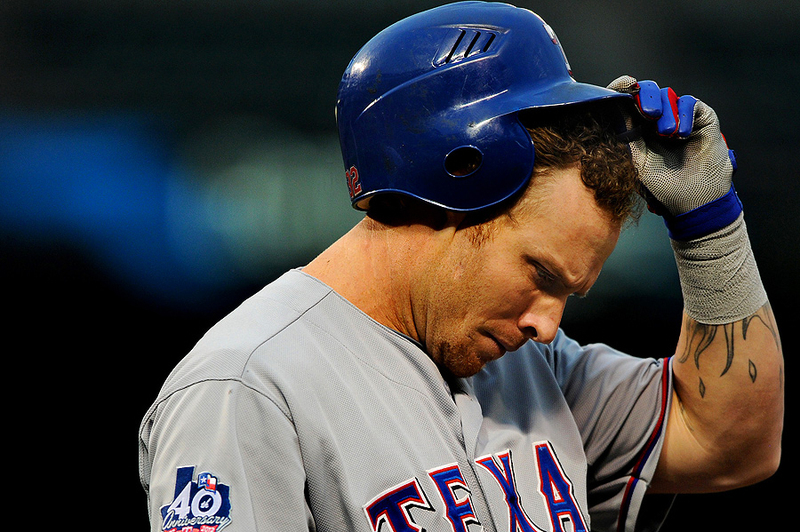 As previously mentioned on here, on Tuesday night, Rangers slugger Josh Hamilton crushed four two-run home runs making him the 16th player in major league history with four homers in a game. It was great to squeeze in the first day game on my schedule this year and all in all, a fun series and a great opportunity being able to document history. If you're reading this as a fresh post, you might be able to catch some more pictures from the series here. Now a much needed break from baseball as I hang out with the horses of Preakness this week. 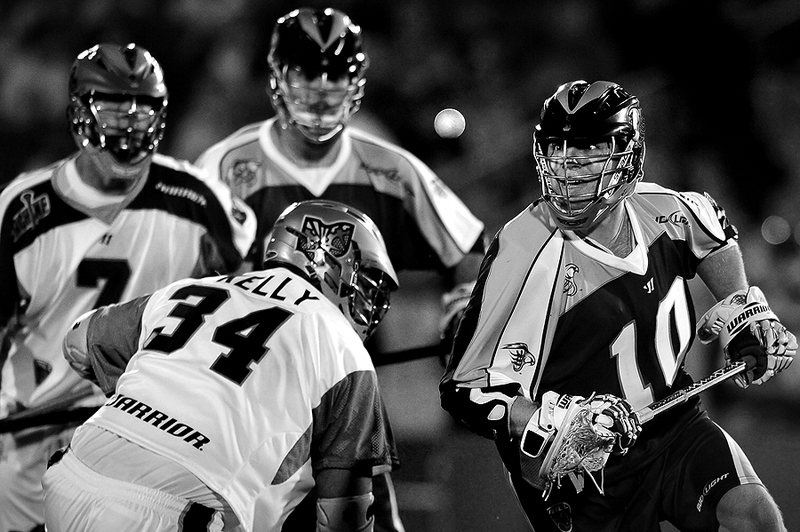 "Midfielder Adam Rand #10 of the Chesapeake Bayhawks watches as a loose ball pops up into the air as midfielder Anthony Kelly #34 of the Ohio Machine looses his footing in the second quarter during their Major League Lacrosse game at Navy-Marines Memorial Stadium on May 5, 2012 in Annapolis, Maryland. The Chesapeake Bayhawks won, 23-11." Is there anything aside from fresh steamed crabs that screams Maryland like the fastest sport on two feet? I'm always my own worse enemy and easily one of the harshest editors I'll ever encounter when it comes to my job and shooting pictures. What makes me even harder on myself is knowing too much about my subject. In this case - Lacrosse. I grew up playing the sport at a young age and consider the area I grew up in to be one of the biggest hot beds for the sport. Many amazingly talented and naturally gifted athletes, coaches have came out of this area and state. With that, I'm not usually thrilled with my takes with lacrosse because I know of the rare moments we see that make an amazingly fresh image; such as, players soaring through the air for a shot, bone-crushing hits and thrilling checks. 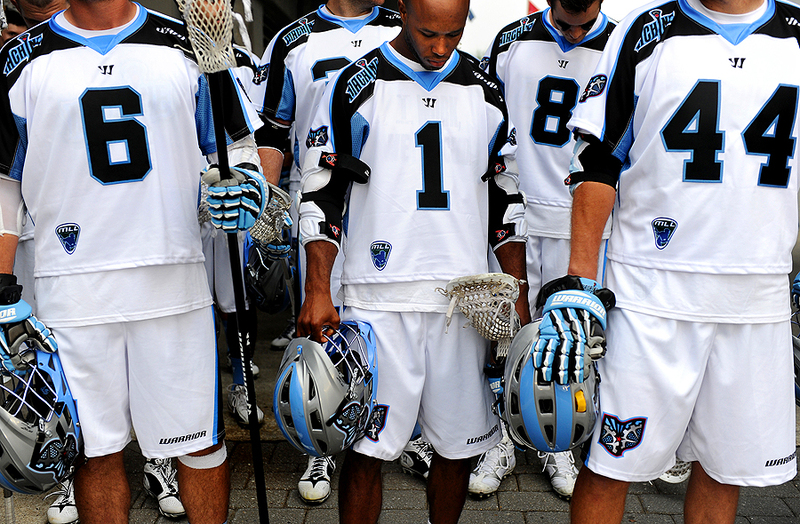 Luckily, when on assignment for Getty Images, we photographers are essentially one of the many league photographers when shooting the Major League Lacrosse. That means a lot of freedom. As per usual, I am always looking for the quieter moments in sports with my features. But that doesn't mean I am not trying to get the action, too. This isn't the best lacrosse photo I've ever taken, nor does it say the storyline of the game, but it's one of the odd moments when everyone has their eye on the loose ball and for a brief second things are calm in and otherwise fast, intense sport. 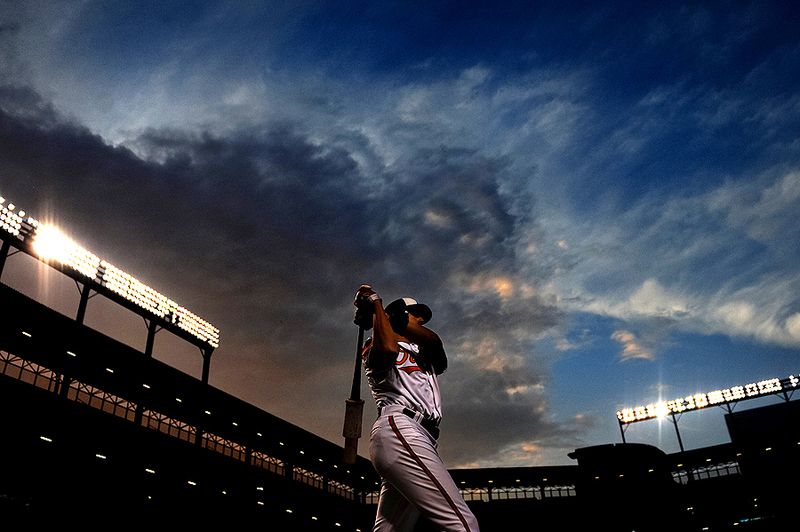 "As clouds move in, Baltimore Orioles batter J.J. Hardy #2 warms up on deck before batting against the Toronto Blue Jays in the fifth inning during their MLB American League baseball game at Oriole Park at Camden Yards in Baltimore, Maryland on April 26, 2012. 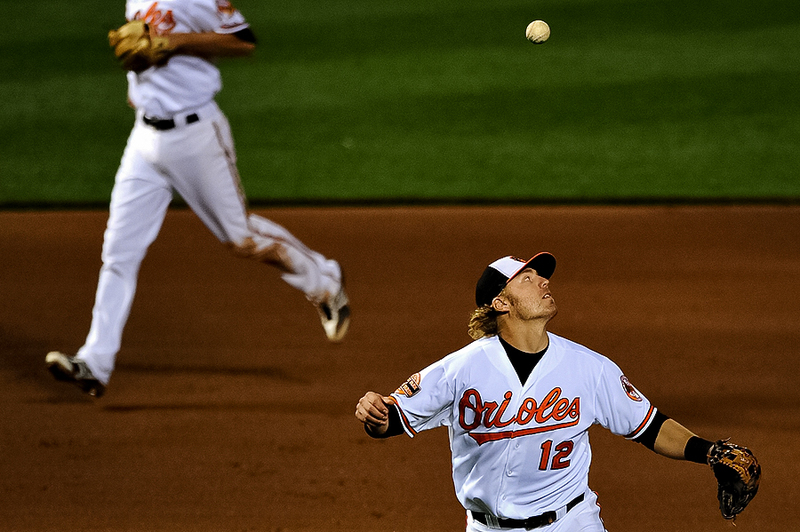 The Orioles won, 5-2, and swept the Blue Jays in the three game series." It's difficult not to have a wide angle on a camera during baseball, especially when you're inside first or third base. One of these days, a player is going to come crashing over the photo well railing in attempt to catch a foul ball and it's going to be a great image. But until that happens, I'll keep working the on deck, leading off image that I do every so often. Probably too much. I certainly couldn't help myself on this frame as the storm clouds, which the rain ironically held off until right after the last out, rolled over the stadium. 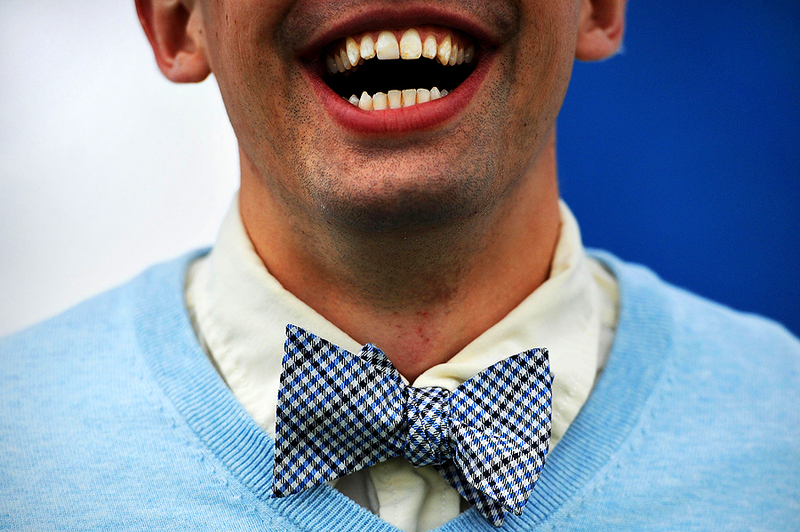 "Dan Ohmott of Philadelphia, Pa., shares a laugh with friends prior to the 116th Running for the Maryland Hunt Cup and Twenty-ninth Race for the Challenge Trophy steeplechase horse race on Saturday, April 28, 2012, in Glyndon, Md." A Maryland tradition unlike any other. Well, that's not the official saying, but that's the sense I got after shooting the 116th Maryland Hunt Cup steeplechase horse race in Glyndon, Md. I got a call by my editor at The Baltimore Sun to cover the long-standing, historical horse race and was excited to document it. Yet another Maryland event that I've known about, and wanted to shoot, yet never got the opportunity to do so in the past. While relatively small compared to races similar over the pond and other types horse races, the event is a high society type of gathering. It's not so much horse racing people, but horse people if that makes sense. Half of my assignment was to cover the spectators and gathering. Without sounding ignorant, it was obvious of the money and class these folks had. From their attire, choice of beverages to the overall atmosphere. In other words, a high society type of event. I attempted to show that, although not so entirely evident here in this post. In the end, Twill Do out-dueled Battle Op down the stretch to win by a half length. I was able to mount a remote high above the finish and get the close finish somewhat head on. I give a lot of respect to the horse racing photographers out there. It's a difficult sport to shoot, even more so when you do an entire race alone. Nonetheless, I had a fun day and it got me excited for Preakness in a couple weeks - Giddy up.